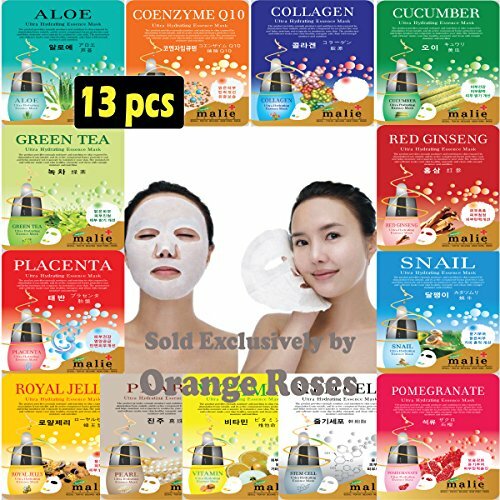 [OBS lab] 64 pcs Ultra Hydrating Essence Mask [ 4 Each of 16 Types ] 1. Aloe 2. Coenzyme Q10 3. Collagen 4. Cucumber 5. Green Tea 6. Pearl 7. Placenta 8. Pomegranate 9. Potato 10. Red Ginseng 11. Royal Jelly 12. Seaweed 13. Snail 14. Snake 15. Stem Cell 16. Vitamin The 10 different types of facial masks will help your skin more elastic, healthier, and clearer. How to use 1. After washing face, wipe off skin with toner and attach a mask sheet to face. 2. 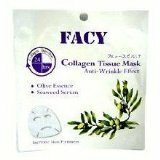 Peel off the mask after about 20 minutes, and tap remaining essence gently for absorption. 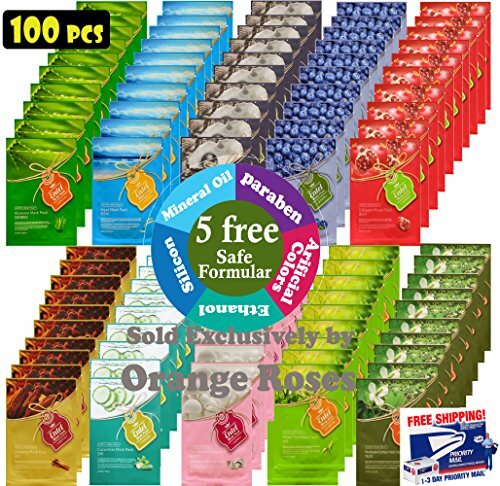 100 PCS ENTEL MASK PACK COMBO (10 Types x 10 pcs) ◆ 5 Chemical Free : No Paraben, No Silicon, No Mineral Oil, No Artificial Color, No Ethanol ◆ The 10 Types : 1. Aloe Vera 2. Aqua 3. Black Pearl 4. Blueberry 5. Collagen 6. Cucumber 7. Ginseng 8. Green Tea 9. Houttuynia Cordata 10. Pine Mushroom. ◆ How to Use : [Step 1] Clean and dry your face before applying the facial mask sheet. In order to spread the exact evenly pat the pouch 2-3 times prior to opening. 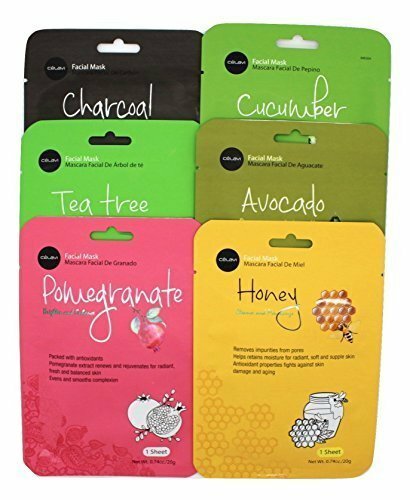 Smooth facial mask sheet using fingertips to position over your face. [Step 2] Lie back and relax for 20 minutes after applying the sheet. [Step 3] Remove the mask gently and massage remaining exact serum until completely absorbed. Cream or lotion can be followed if desired. 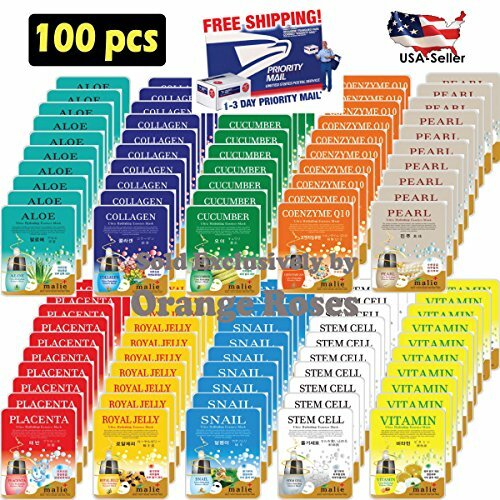 100 pcs Ultra Hydrating Essence Mask [ 10 x 10 Types ] ◆10 Types : 1.Aloe 2.Collagen 3.Cucumber 4.Coenzyme Q10 5.Pearl 6.Placenta 7.Royal Jelly 8.Snail 9.Stem Cell 10.Vitamin. 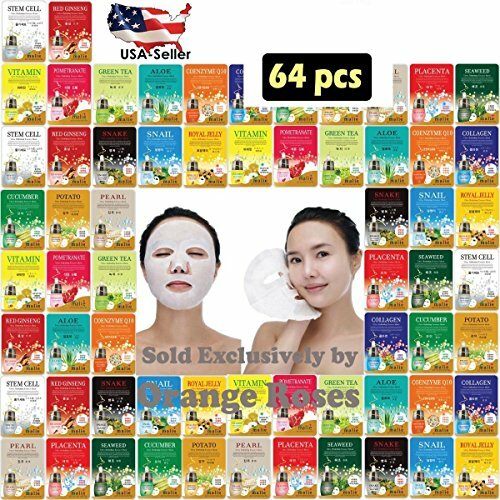 ◆Effect : The 10 different types of facial masks will help your skin more elastic, healthier, and clearer. ◆How to use [Step 1] After washing face, wipe off skin with toner and attach a mask sheet to face. [Step 2] Peel off the mask after about 20 minutes, and tap remaining essence gently for absorption. ◆ Customization : If you want specific combination, make sure to order it through 'Seller Fulfilled' listing, and leave a message about your own preference. It's easy to moisturize skin but hard to retain water. 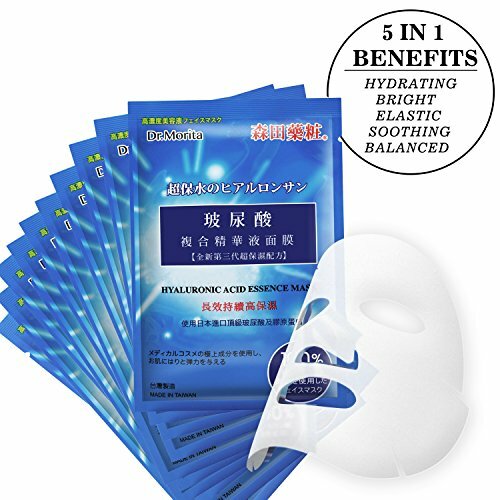 DR. MORITA hyaluronic acid essence sheet mask can rapidly infuse skin with moisture and incredibly prevent water loss. The large amount of hyaluronic acid and natural abstract is formulated for skin hydration, nourishment and soothing. How does our sheet mask improve your skin? Provides super skin hydration in a long time. Nourishes skin with natural abstraction Weakens wrinkle and fine lines after deep skin moisturizing Makes skin tone brighter and glowing Balances water and oil. Skin has a healthier glow. How to use: 1. After cleansing your skin, open the foil and take out the sheet mask. 2. Unfold the mask. Remove the pearlised film from the sheet mask. 3. Adjust it on the forehead, then the nose, mouth and the jaw. Gently pat the sheet to make it closely adhere to skin. 4. Remove the sheet mask after 10 to 15 mins. 5. Apply the essence left in the bag to face and neck. Give skin a massage until essence is fully absorbed. 6. For sensitive skin, it is recommended to wash your skin 6-8 mins later. 7. 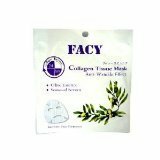 To get better skin care effect, it is recommended to use the masks 2-3 times a week. 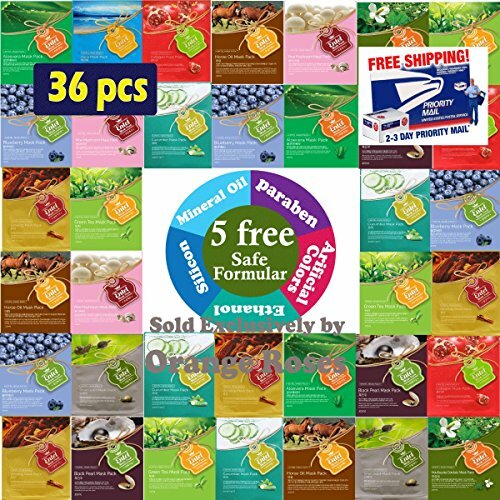 Compare prices on Mask 4 Pcs Essence at Shopsimal.com – use promo codes and coupons for best offers and deals. We work hard to get you amazing deals and collect all avail hot offers online and represent it in one place for the customers. Now our visitors can leverage benefits of big brands and heavy discounts available for that day and for famous brands.